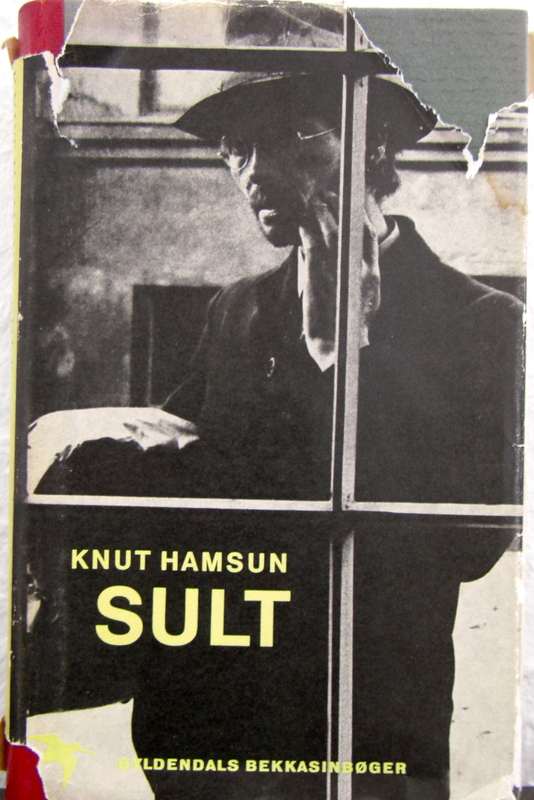 A couple of weeks ago I finished Knut Hamsun’s Sult (Hunger). It has one of those epic starting lines that are so rare these days, probably because they either reek of cliché’s or have already been taken. (quote from the English translation by George Eagerton). Unfortunately, in my opinion, the translation of the last part (from which no man departs…) doesn’t really emphasize the fascinating brutality of city life. I would rather translate it “from which no man departs until it has marked him”. The emphasis here is that the city has a hold of you, it devours you, and IT decides WHEN you are good and ready to go on. This corresponds well with the city as literary image in the late 19th century (Hamsun’s Hunger is written in 1890). The city, now well versed in fast pacing revolutions in the fields of science, literature, physics etc., is always one step ahead of the individual who struggles to fit in and keep up. Thus began a new era of social misery: the individual of the early 19th century, the aristocratic dandy (a flaneur observing the city), is replaced by a stressed out, overstimulated wretch. In Hamsun’s Hunger the protagonist is such a character. All of his experiences are interspersed with Christiania as a city and the people who inhabit such a place. And he struggles. He struggles to survive in the city, while the ramblings of a ‘mad-man’, a hungry and homeless man without a lifeline in either direction, are being flung out at the reader. Our protagonist alternates between paranoid and hopeful within pages. The darkest pit is replaced by the bluest sky depending on the way the wind turns. His survival is dependent on money, a trade of capitalist society, and his income is dependent on his writing skills. But the hungrier he gets, the harder it is for him to keep his thoughts in order. At first his work is accepted, giving him enough money for a couple of days of lodging and some time to recuperate, but he has no sooner become hopeful than he is out on the streets again. And thus starts a new round of misery. It is truly a work of great significance, and it would do people well to read, especially in these days when you hear more and more about the abuse of homeless people on the one side, and the overbearing laissez faire-“the state will take care of them”-attitude.